For up to a full year after installation, the Culligan IC-EZ-1 Easy-Change inline water filter system will reduce up to 99% of particulates, chlorine, bad taste and odor from your drinking water. This package comes with everything you need to quickly and easily install this system, including a filter cartridge with a 12-month lifespan, filter head and mounting screws. One of the most affordable options for getting great tasting water! 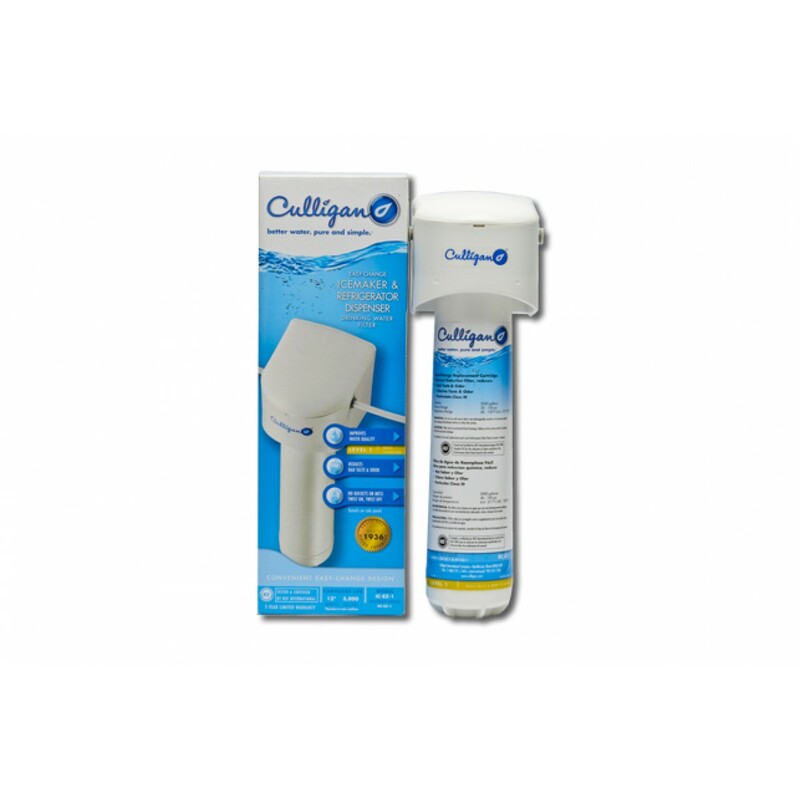 Order the Culligan IC-EZ-1 Easy-Change inline water filter system from us today! Reduces contaminants and impurities for up to a full year after installation!